Here we see an excellent performance. 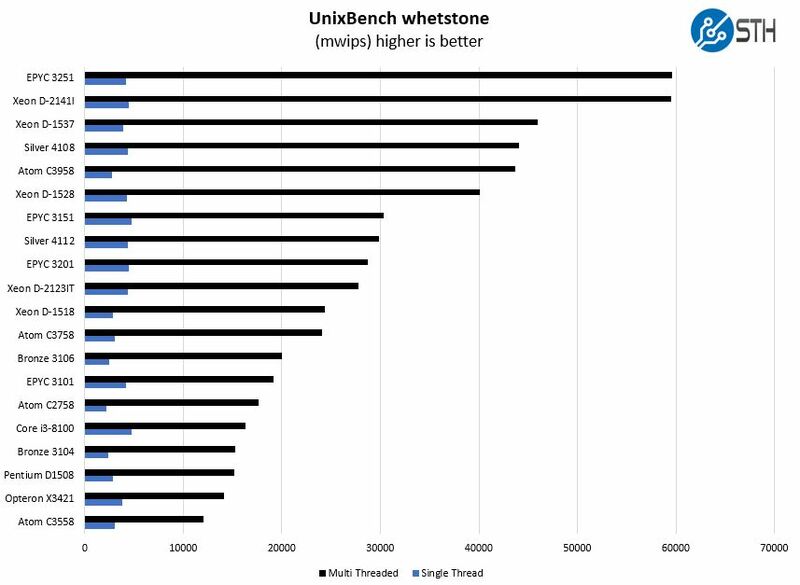 We do not yet have the new low-end Intel Xeon Bronze and Xeon Silver performance numbers in the lower end of the segment. You can read about the higher-end SKUs here in our 2nd Gen Intel Xeon Scalable Launch Details and Analysis. 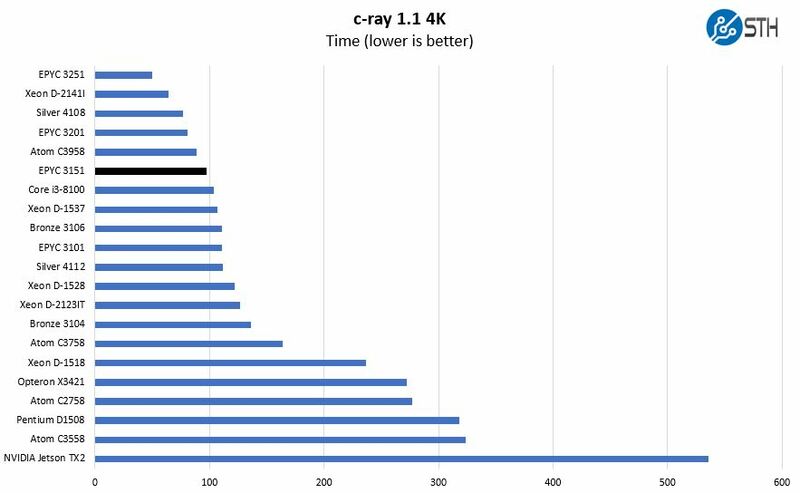 In c-ray, AMD “Zen” architecture performs very well. 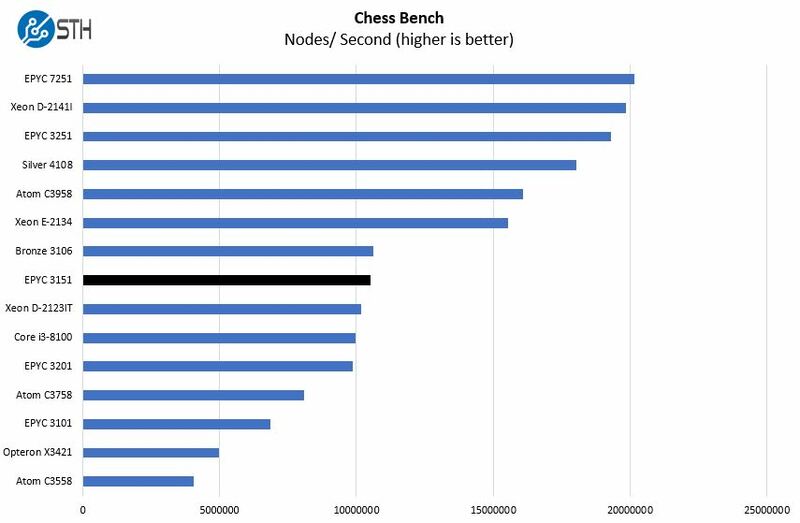 The four core AMD EPYC 3151 falls just behind the sixteen core Intel Atom C3958 but ahead of the Intel Xeon D-1537 8 core/ 16 thread part. Here the AMD EPYC 3511 easily outpaces the AMD Opteron X3421 here by almost a factor of two. For those looking for more performance than the HPE ProLiant MicroServer Gen10 in a similar form factor, the Supermicro M11SDV-4C-LN4F can fit that and offer more performance and expandability albeit at higher power consumption. 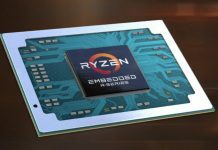 AMD has a product line that canvases the market between the Atom C3000, Xeon D-1500, and Xeon D-2100 lines which is very impressive. 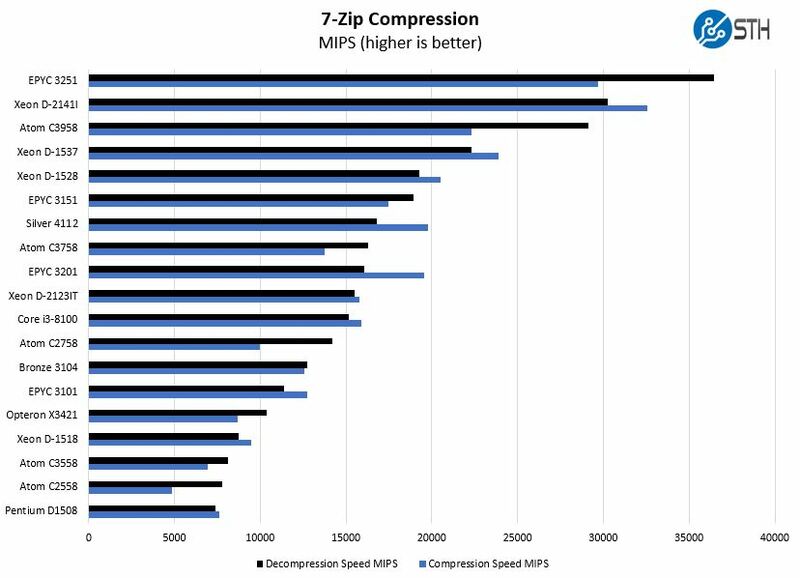 It is fairly clear why Intel needed to do the Intel Xeon D-1600 refresh faced with this competition. 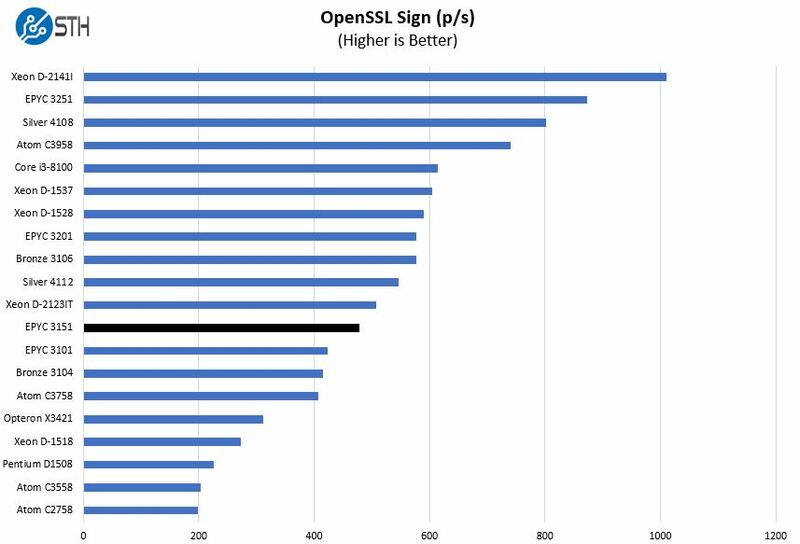 OpenSSL is a foundational web technology. 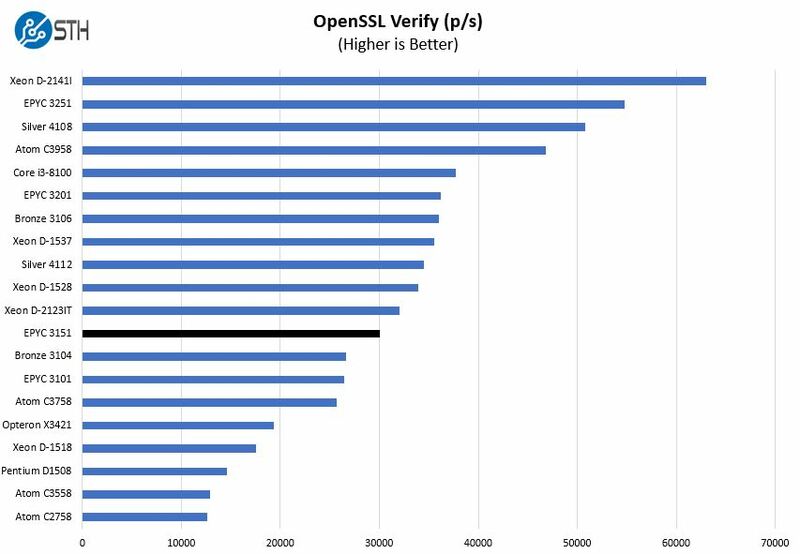 Again, we see great performance from the AMD EPYC 3000 series across the board. 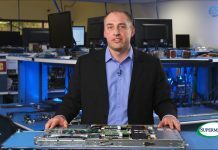 The Intel Xeon D-2123IT is a 65W TDP part that uses significantly more power, at only a slight performance edge. 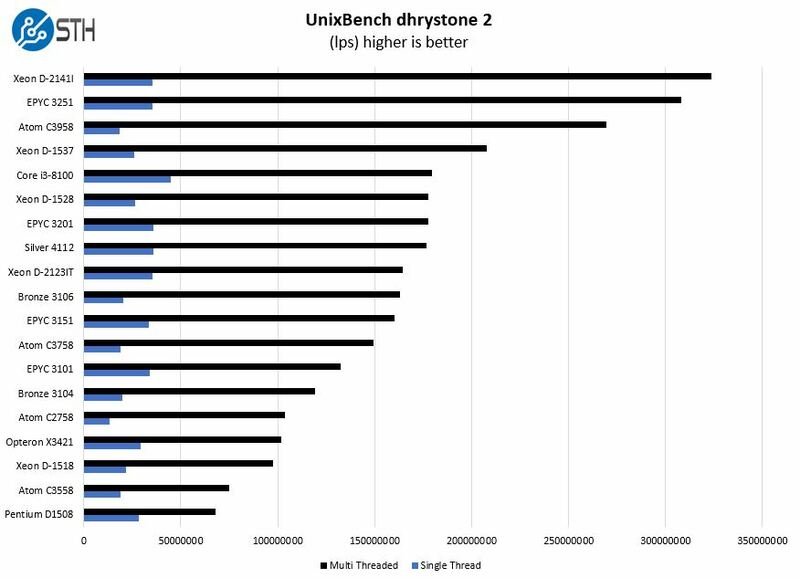 This is a good example of where higher TDP and higher clock speeds can help the AMD EPYC 3151. 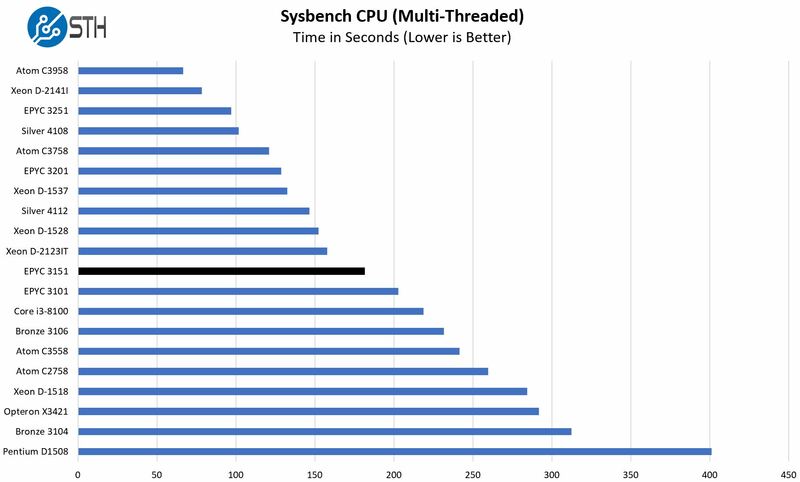 Here it performs faster than the 8-core EPYC 3201. Depending on your workload, we can see picking one over the other and Supermicro’s pricing has their respective M11SDV platforms priced relatively close. Like our other tests, here the AMD EPYC 3151 performs relatively well compared to its Intel competition. 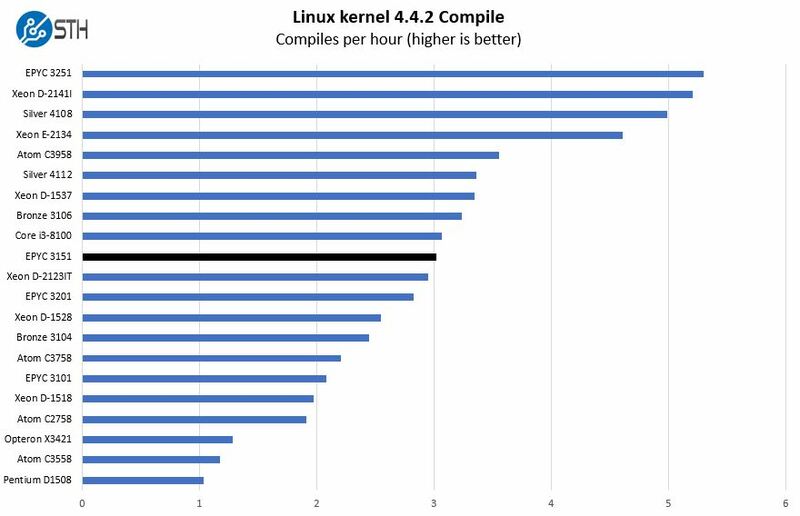 In a market that has desperately needed choice, this is the right performance level at this power consumption point. Next, we are going to look at the Supermicro M11SDV-4C-LN4F power consumption followed by our final words.